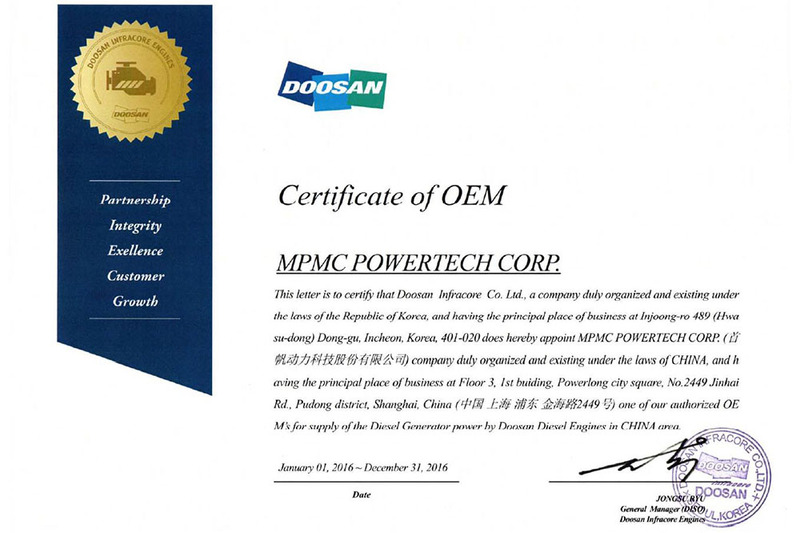 MPMC owns 11 invention patents and 36 utility model patents. 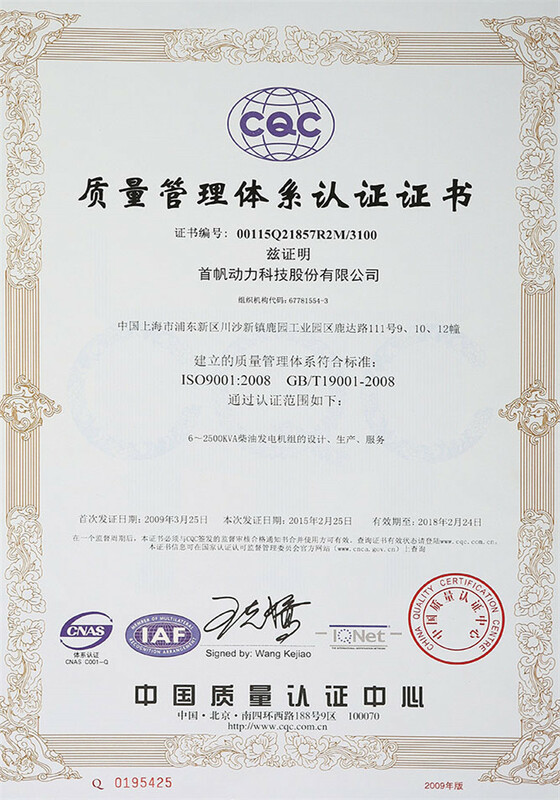 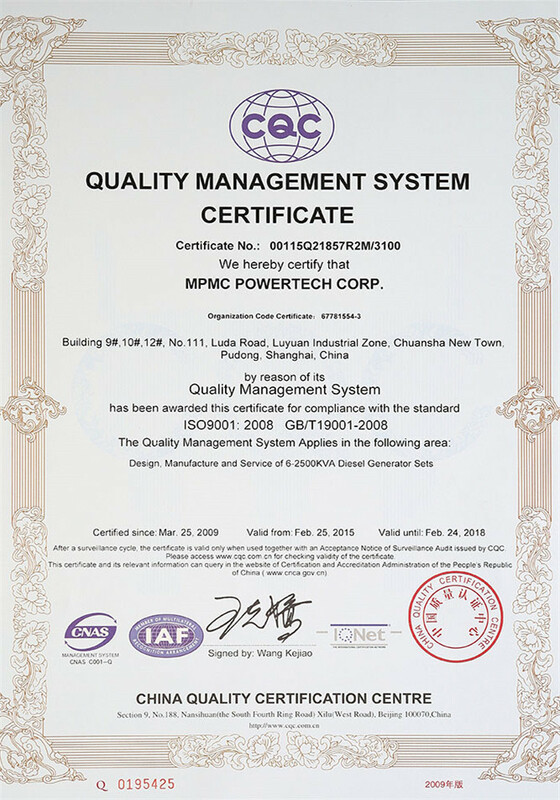 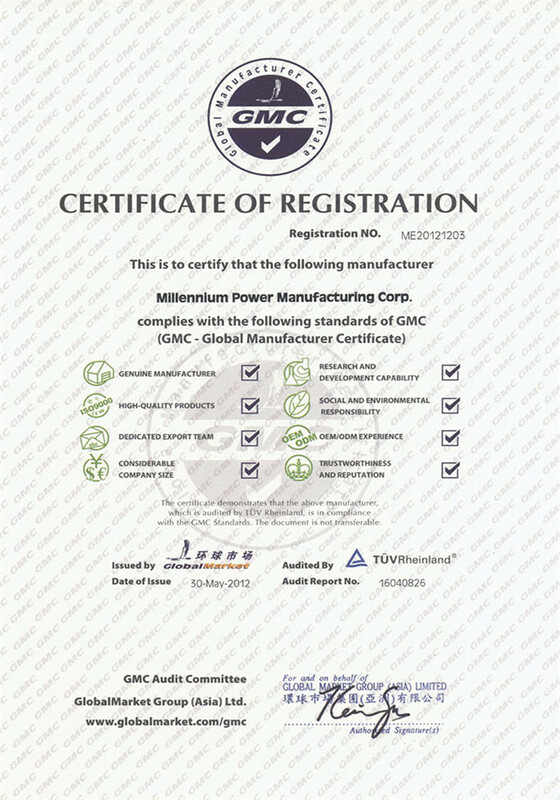 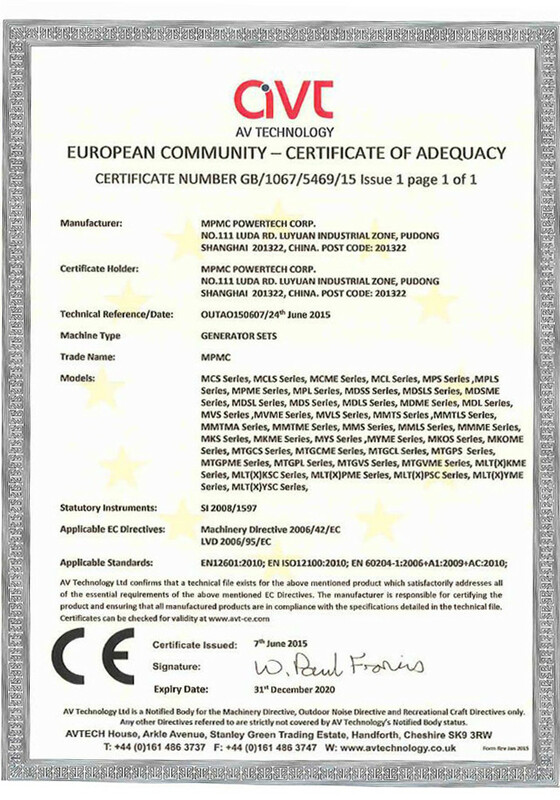 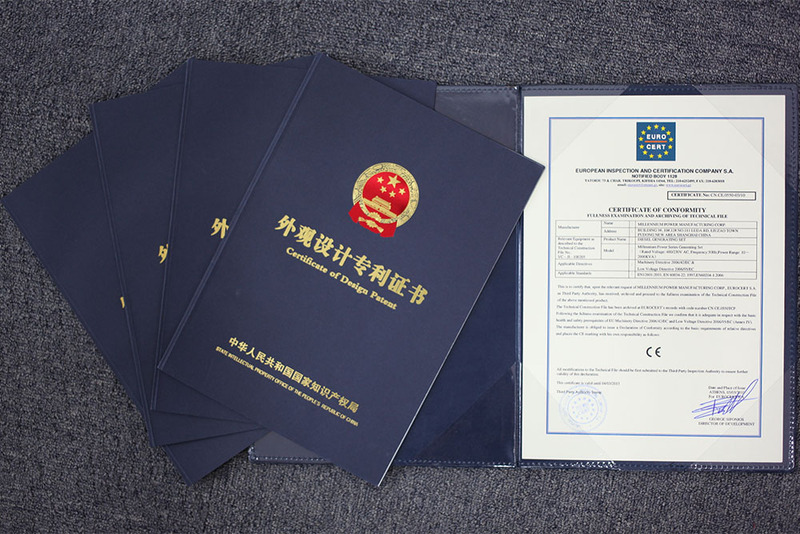 Achieving TLC, CE, TUV, EAC and other product certifications, we have also obtained ISO9001, ISO4001 and other management system certification. 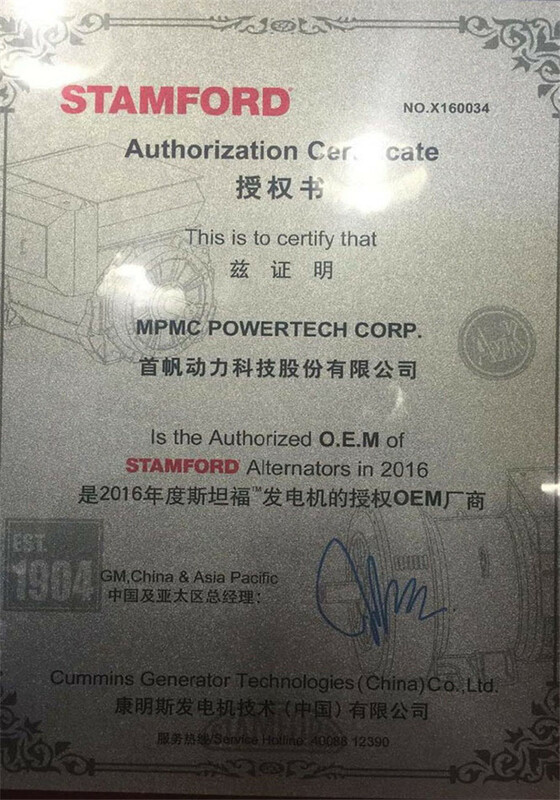 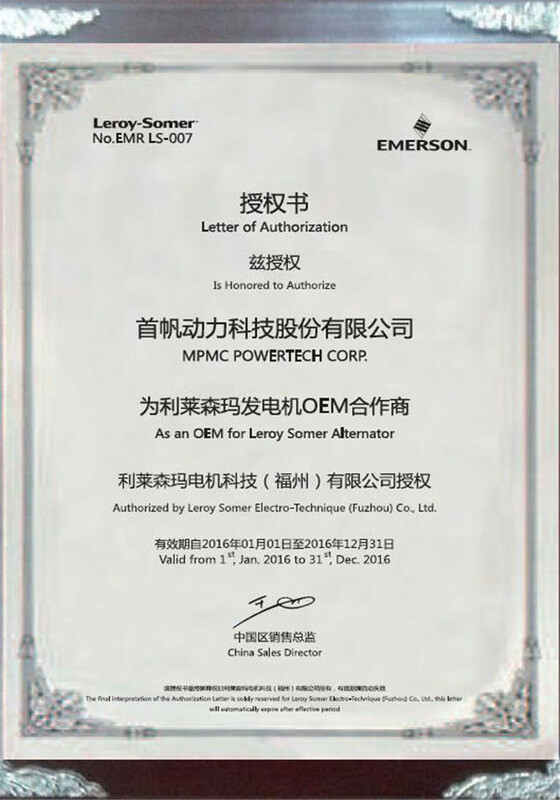 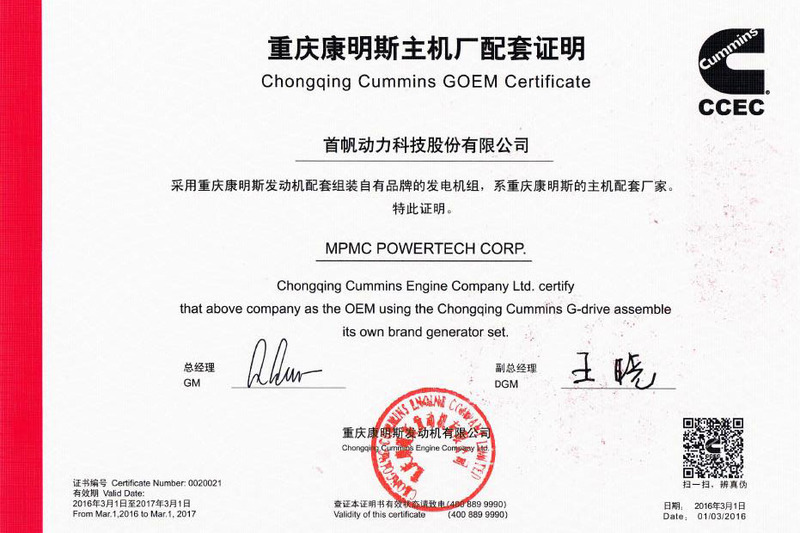 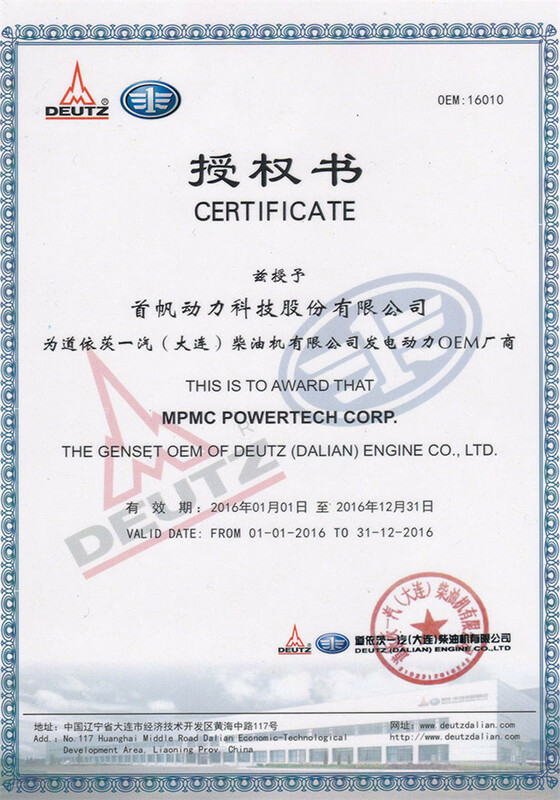 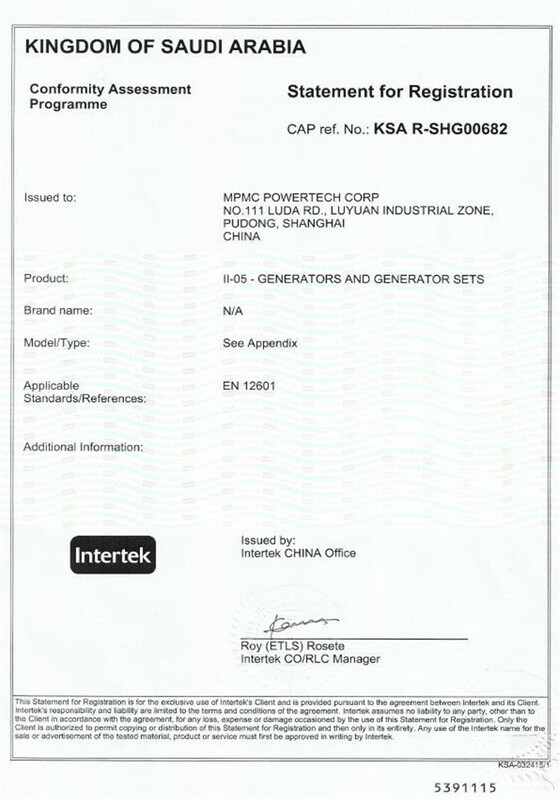 MPMC has long-term stable cooperation with many world-famous brand engine and alternator suppliers, such as Cummins, Perkins, Kubota, Volvo, Stanford, Leroy Somer, etc., and become their OEM. 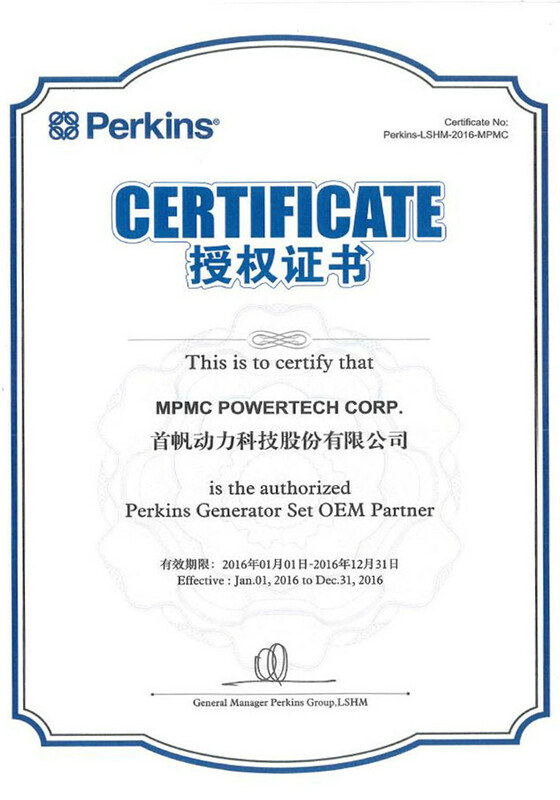 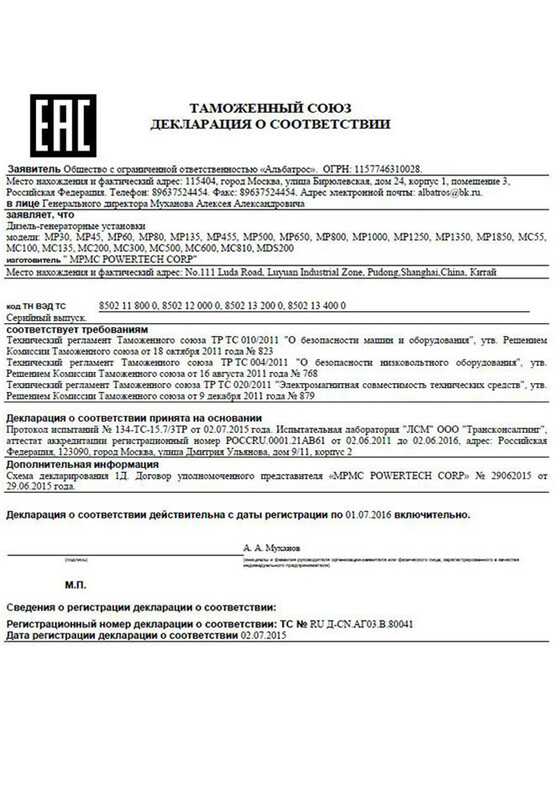 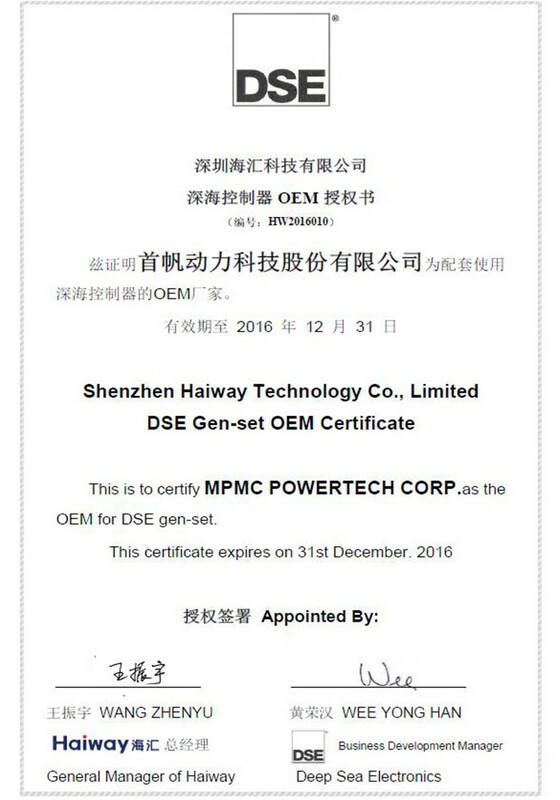 MPMC POWERTECH CORP. was established in 2008 and was successfully be listed in New OTC Market in April 2015 (Security code: 832266). 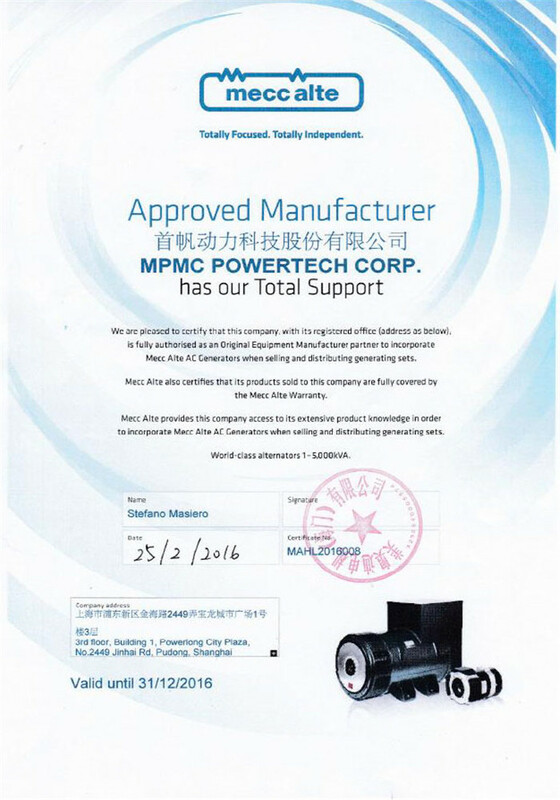 MPMC independently researches, develops and produces three main series including 45 types of products and sells them to 115 countries. 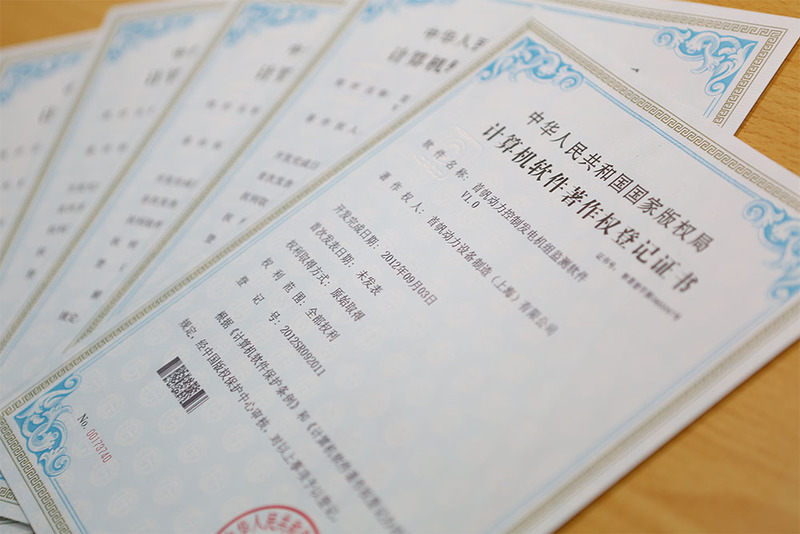 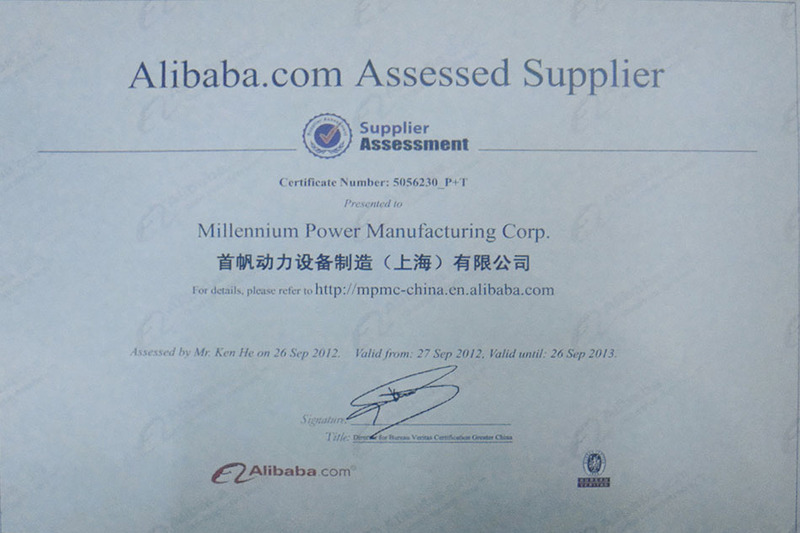 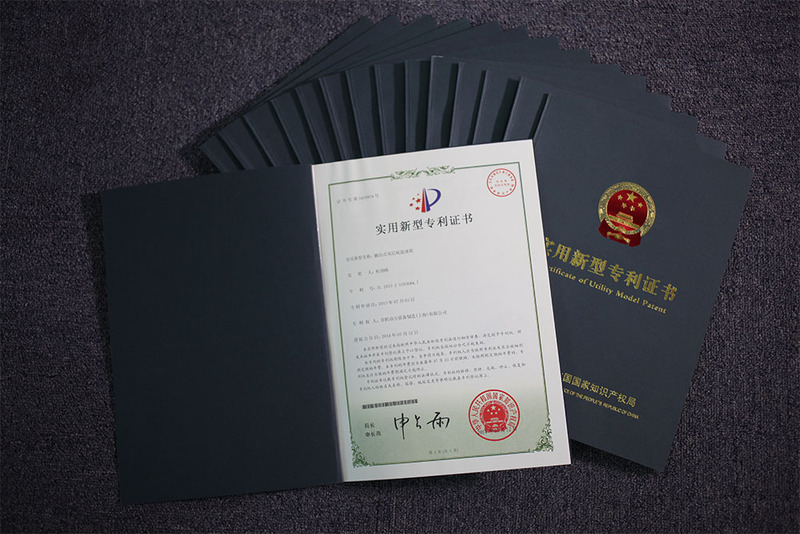 MPMC owns a total of 62 authorized patents, 1) including 52 utility model patents, 8 computer software copyrights, 1 appearance patent certificate and 2 invention patents, and 5 invention patents have entered the stage of substantive examination. 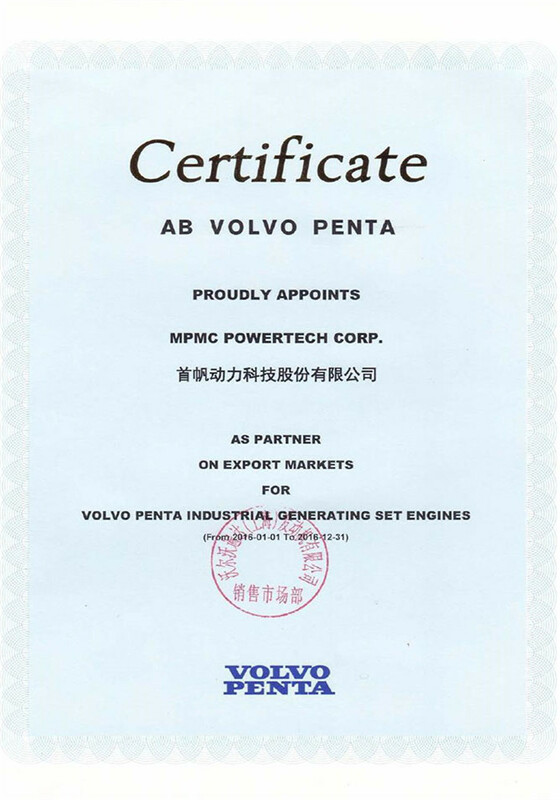 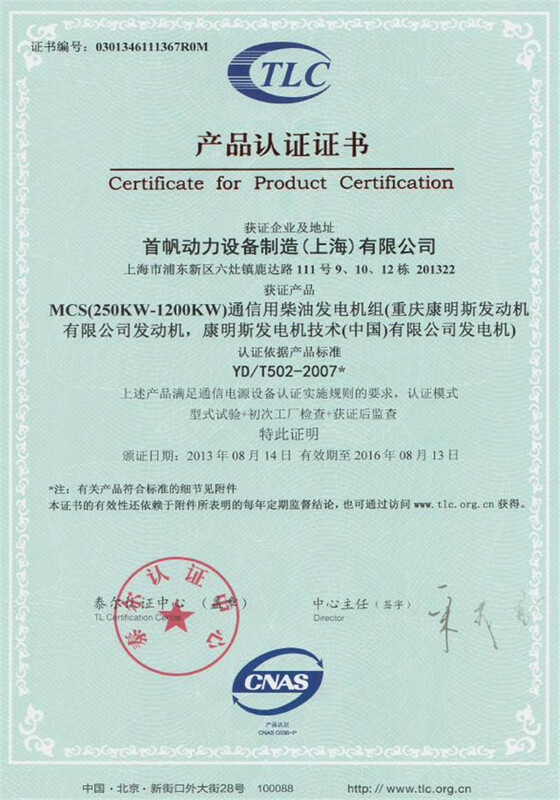 MPMC is the high-tech enterprises in Shanghai.